MORE “URBAN” SPORTS NEWS ON “SPORTS INNER CITY TV” WEBCASTS!! JUST CLICK THE TV SCREEN TO THE RIGHT. NBA-NFL AND MLB NEWS AND VIEWS PLUS SHORT INTERVIEWS AND MUCH MORE 24-7 ON DEMAND. WATCH VIA YOUR SMARTPHONE, MAC, PC OR TABLET WORLDWIDE!! OUR NEW LIVE STREAM PLAYING CLASSIC SOUL AND CLASSIC HIP-HOP AND SMOOTH JAZZ 24-7 RIGHT HERE! JUST CLICK THE BAR UNDER OUR “SPORTS INNER CITY TV” WEBCAST SCREEN. IF YOU DON’T HAVE THE ADOBE FLASH PLAYER Click here AND LISTEN TO OUR PODCASTS ALSO. NEW PODCAST COMING SOON! ALSO WE WILL BE AT T-MOBILE FIELD DURING THE SEATTLE MARINERS MLB SEASON FOR THE 9TH YEAR IN A ROW CONDUCTING SHORT INTERVIEWS WITH HOME/VISITING PLAYERS!! SPECIAL THANKS TO THE SEATTLE MARINERS! Readers I am telling you one thing. Unlike Major League Baseball and other sports, their is ALWAYS something going on in the sport I love BY FAR…basketball and the NBA. This is why I want to use my “Sports Inner City TV” webcasts for just NBA news and views with “Off The Court: Sports Inner City TV”. But truth be told it is hard to do a NBA related program in a city like here in Seattle, Washington. A city without our dearly departed Seattle Sonics who left our city in 2008 after FORTY ONE YEARS IN SEATTLE!! It was a very very sad for me when our NBA team departed. I have not got over it. Cannot get the one on one interviews that I like to do. Why? Because I will brag on myself that I do very good interviews. But damn their is so much news going on in the NBA everyday it is unreal and even during the off season. Story after story. Last night the time I am typing this was a huge huge night in the NBA. Dwayne Wade and Dirk Nowiteki played their last home game. Man..it was emotional ladies and gentlemen. Also my good friend and Seattle native, 39 year old Jamal Crawford scored 51 points. Nothing new for J-Crossover. He has scored over 50 many times. Is Jamal a Hall Of Famer? HELL YES!! Is Jamal going to retire? Then all of a sudden BAM!! 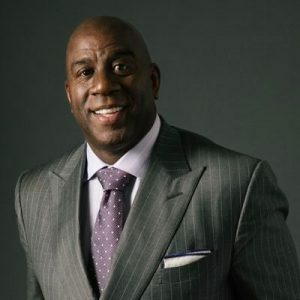 Magic Johnson shocked the sports world by stepping down as the Director Of Basketball Operations for the Lakers. WOW!! HUGE HUGE NEWS!! It just came out of nowhere. 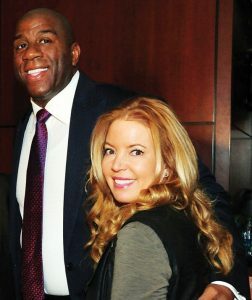 Lakers owner Jeanie Buss knew nothing about Magic stepping down. Lebron knew nothing. Magic just decided to step away. Here is the thing readers. Lebron James got hurt and was out 19 games. The Lakers were doing well before he got hurt. In the playoffs at the December break but then it was downhill after James got hurt. And now the legendary Lakers are AGAIN out of the NBA playoffs. Word is Magic did not want to meet with Jeanie Buss because she might want to talk him out of stepping down from the Lakers. Also it is out that Magic did not want tell head coach Luke Walton that he is fired. Which at the time I am typing this article most people think Walton is gone as head coach of the Lakers. Also news spread that Magic was hardly ever around the Lakers and around the Lakers offices. Keep in mind Magic Johnson is a businessman with a lot on the table when it comes to his business empire. So maybe he just was not the one to be the Director Of Basketball Operations of the Lakers. When he was named for the job a lot people said this was the wrong move. Well I guess those folks were right. Magic was not right for the job. He just was not. Here is a fact. Magic did not know how to be a Director Of Basketball Operations. He did not know he could not talk to potential new Lakers like say Anthony Davis or other players. This is why he has been fined a couple of times. This is crazy readers. Magic should have know this. Sports fans EVERYONE loves Magic. He is just that kind of fella. But like he said, he just was not having fun with his position with the Lakers and wanted to have fun again. Giving advice to other NBA players when they ask for it. Go to arenas and just enjoying the game on the court like he used to. We all know that Magic will ALWAYS be a Laker. He spent his entire career as a Laker. So what is going to happen now that Magic and the Lakers team and organization? Lebron as I said knew nothing about Magic leaving. Do star free agents want to play with a aging Lebron? Who is going to replace Luke Walton if he is fired? Ty Lue? Or Mark Jackson? Who is going to run the Lakers for goodness sake with the departure of Magic as Director Of Basketball Operations? Will it be GM Rob Pelinka just running everything with Jeanie Buss right now? We as NBA fans are now in a wait and see mode. Serena Williams called Magic to ask for his help as a mentor in the world of business. Others have asked Magic to be a mentor in the business world. Well now Magic can help Serena and others. And Magic said in this quickly called press conference that as a businessman he has a few BILLION DOLLAR deals on the table. I should say possible billion dollar deals. Hell I would walk about from the Lakers too!! Hell yeah! One thing I do not like is Fox Sports host Colin Cowherd saying Magic was “incoherent” in his press conference. To me that was almost a racist comment by Cowherd. Nothing new because Cowherd treats Russell Westbrook like a dog. CONSTANTLY blasting Westbrook on his TV show. Why he treats Westbrook so badly is beyond me. Speaking of Russ. Russell recently averaged a triple double FOR THE THIRD STRAIGHT YEAR!! As Director Of Director Of Basketball Operations Magic could not contact Westbrook to say congrates. Now since Magic has stepped down….he can. We will keep you informed with drama with the iconic Los Angeles Lakers. Previous PostDid Lebron James Go To L.A. For Basketball Or For His Business Empire?